The Asset Allocator is designed for investors who want to position their investments for changing market conditions and generally remain fully invested, while not having to constantly monitor the markets and choose the investments themselves. The Asset Allocator offers five investment models based on risk tolerance profiles that guide portfolio construction. Ranging from Income to Aggressive Growth, each model offers weightings among domestic equities, international equities and bonds (note: all models may not invest in all asset classes). The percentage allocations within each asset class are based upon the risk tolerance level of the model. You and your financial representative will determine the investment model that matches your investment objectives, as well as your willingness and ability to take risk. Over time, your goals and objectives may change, and you should work with your financial representative or Absolute Capital to determine if changes to your investment model are warranted. 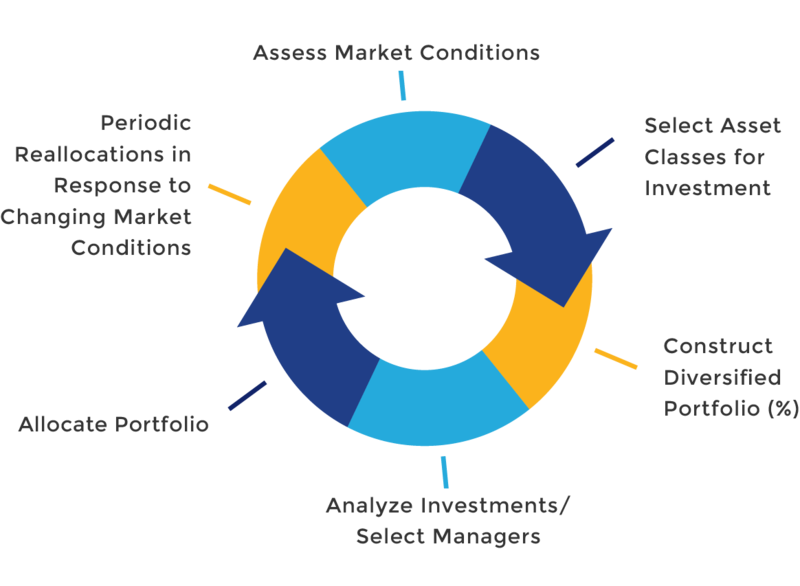 The Asset Allocator features active management to select and weight asset classes to position the portfolio for current market conditions. Based on the premise that not all investment styles move in lock step, The Asset Allocator’s process is intended to capture the areas of the market that we believe have the strongest characteristics for the period ahead according to our analysis. Overweighting and underweighting among asset classes is used to tilt the portfolio. Among domestic equities, The Asset Allocator determines allocations across styles (value and growth) and market capitalization ranges (large-, mid- and small-caps) based on our analysis of current market conditions. For international equities, master geographic areas are analyzed (such as Europe, Asia, World, Japan, Foreign, and Emerging Markets). Similar analysis determines the most appropriate bond types for investment (Government, Corporate, and High Yield). With the vast number and types of investment options available in the market today, many investors are overwhelmed with too many choices. Sifting through the sea of available options requires time and research devoted to analysis. The Asset Allocator program benefits from Absolute Capital’s analytics to assess investment options and make fund selections. And, although many types of asset allocation programs do this once and then forget about it, Absolute Capital knows that markets are dynamic and factors change. Fund selection is not a “once-and-done” proposition.